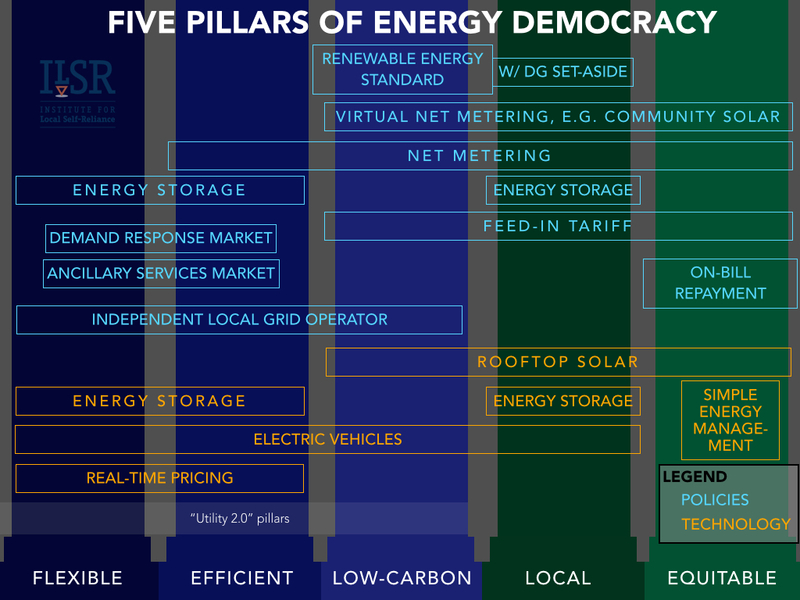 In my recent report on the utility business model of the future, I laid out 5 pillars of a democratic energy system. It’s hard not to notice the contrast between this vision of the future and the 15-year business plan laid out by Xcel Energy in Minnesota, the incumbent monopoly serving about half the state’s electric customers. Like those of its peers, it’s a plan that attempts to straddle the inevitable transition toward clean energy while keeping its existing centralized power system running for as long as possible. This inconsistency gave me the sudden image of the “Titanic,” engines thundering, smokestacks spewing, rushing toward the iceberg of financial insolvency and climate catastrophe. We’re all aboard this ship, short of life rafts and about to test whether it’s truly unsinkable. 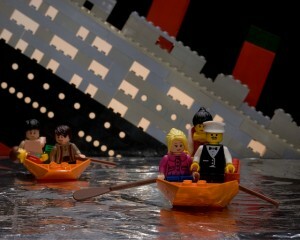 The impending titanic impact (pardon the pun) mirrors the original naval disaster in other disturbing ways. For one, the electricity system fascination with large scale systems (like huge nuclear power plants) without making enough alternative “life boats” (like distributed solar). For another, the notion that a large ship or a large utility are both too big to fail. But today’s electricity system differs from this ill-fated ship in one key respect: we still have the power to avoid the collision. Even though most electric customers see themselves as helpless steerage passengers, the truth is that we’re in a time of tremendous opportunity to turn the ship or, failing that, set sail on some new life boats. We’re at this moment for two reasons. First, the original rules of the electric system, made by legislatures and enforced by Public Utilities Commissions, set a course toward affordable and reliable electric service, whatever the (environmental and equity) cost. Over time it became clear that affordable and reliable were insufficient principles for organizing an electricity system with better technologies for energy efficiency and distributed renewable energy. But when we tried to change the system, it became clear that utilities that can exercise market power can also exercise political power over the rules of the system to defend their fiefdom. So instead of seizing the opportunities presented by new technology with a wholesale course correction, we’ve nudged the direction of the “unsinkable” monopoly vessel. Renewable portfolio standards have reduced emissions, but not enough to avert the climate crisis. Energy efficiency standards have reduced, but not eliminated, growth in electricity use. Nor, in leaving the incumbent utility largely in charge, has either policy sufficiently diversified control over the electric system. For example, the Rocky Mountain Institute illustrates that building energy use could be halved by 2050, and yet Xcel Energy’s 15-year plan includes a demand forecast that increases energy consumption. Xcel’s 40% renewable forecast by 2030 seems ambitious, except that the 2,400 megawatts of solar they propose by that year represents less solar than could be installed on residential and commercial rooftops, competitive with their electricity prices, by 2022. 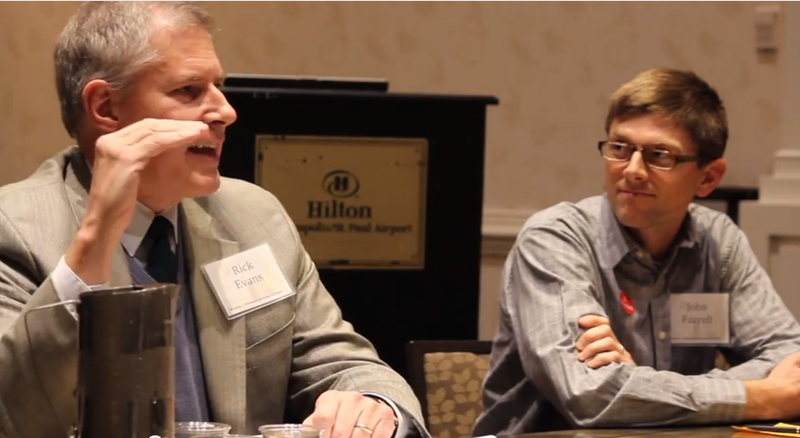 And, like many others, Minnesota’s titanic utility has been reluctant to change course. Just last week the utility learned that they’ll be held responsible for massive cost overruns on a retrofit to their Monticello nuclear power plant (despite numerous advance warnings). This power plant––a legacy of a utility-centric, command-and-control electricity system––is largely incompatible with the shift toward a cleaner, more distributed electricity system. And so we surge forward toward the iceberg of climate catastrophe and electric system insolvency, because too few of the passengers realize they actually have a choice. Having been put behind the wheel of the utility system decades ago, the incumbent utility has been perfectly happy to maintain a system that is (unfairly) economically and politically rewarding. But the rise of distributed generation like solar and the plateauing of energy sales have made even utilities realize that this course is unsustainable. The problem is, they don’t even understand how to change. Over half of utilities participating in a recent industry survey said that they see an opportunity in distributed energy resources, but that they don’t know how to build a business around it. The 21st century electric utility has to be substantially different from its predecessor. 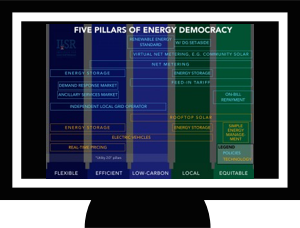 In a recent report, ILSR outlined 5 pillars of an energy democracy system that overlap and go beyond the “Utility 2.0” conversation. These pillars illustrate the primary principles that should govern our electricity system. The incumbent utility won’t implement this new course, especially since the rules they operate under don’t encourage it. Instead, the rules have to change, which means that legislation and regulation has to change to enable this new route toward a more democratic energy system. Regulators in New York are Reforming the Energy Vision, envisioning a complete overhaul to make the ship nimble enough to avoid the economic and climate pitfalls ahead. They’re joined by regulators and legislators in other states––including Minnesota, Vermont, Maine, California, and Hawaii––trying to re-engineer the driving force in the utility system. This is a big, substantive change. It threatens utilities used to monopoly control and monopoly profits. And because there’s plenty of evidence that the utility monopoly no longer makes sense, many utilities are now fighting back. 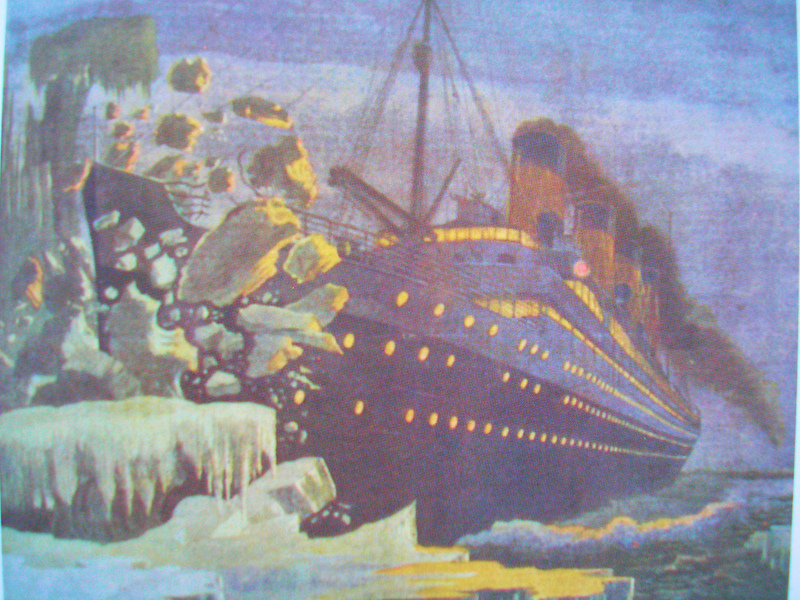 So what happens if policy change can’t save us from the iceberg? Electric customers have some compelling alternatives. For one, the cost of distributed renewable energy has fallen so sharply that many people are reducing their reliance on the electric utility. The Rocky Mountain Institute suggests that as energy storage costs start to fall with mass adoption, there’s a real possibility for (wealthier) individuals and businesses to defect from the grid, i.e. commandeer the lifeboats. More promising is the rise of collective action. In Boulder, CO, the city has opted to seize the ship, by orchestrating a city-driven takeover of the local energy system in order to deliver more clean, local power. In Minneapolis, MN, grassroots action has driven the electric and gas utilities into a clean energy partnership with the city under the intention of meeting the city’s climate and equity goals. Citizens in Santa Fe, New Mexico, are also asking how a city-owned utility could dramatically shift investment toward a more efficient and cleaner electricity system. We built the electric system into a fleet of centralized, monopoly Titanics at a time when all we wanted was affordable and reliable power. But technology has radically changed the horizon. There are major obstacles ahead and electric utilities aren’t likely to act quickly enough to avoid them. We shouldn’t expect them to, because they’ve never really been in charge. To the extent that there is a “market” in electricity, it’s entirely the creation of public policy. We christened these Titanics and gave them the power to bring light and energy to our economy. And it’s time to wake up and walk up from steerage and get behind the wheel.